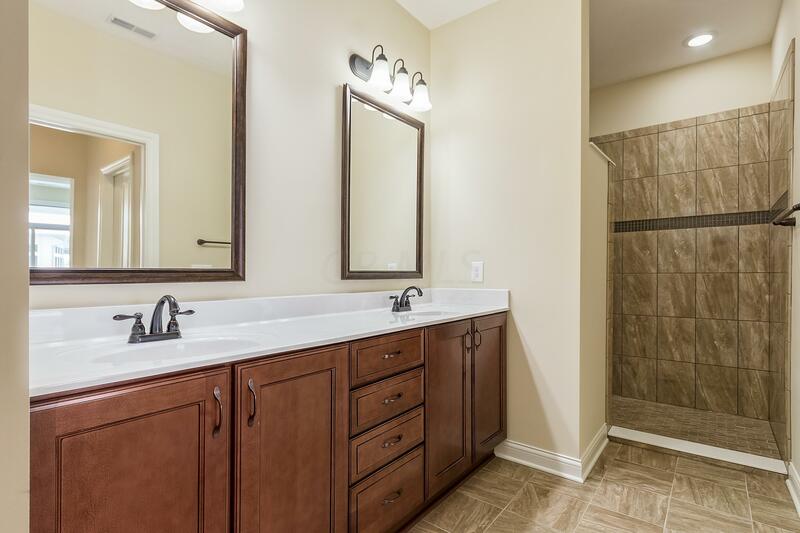 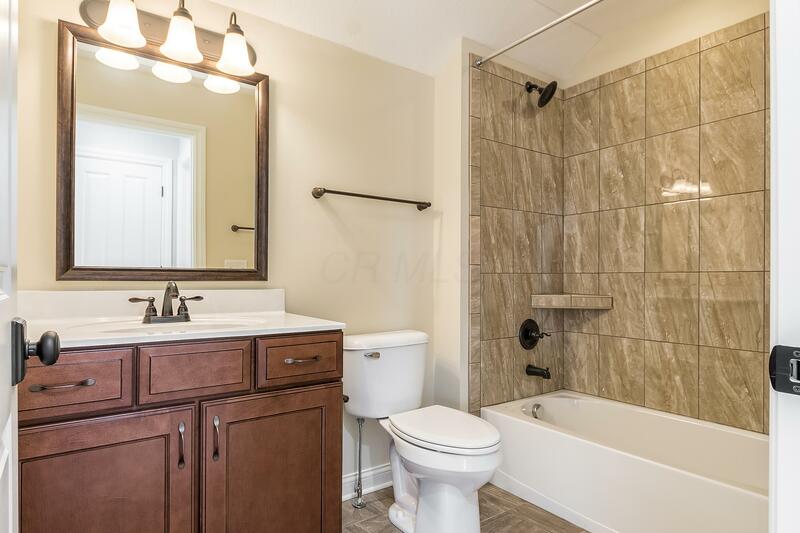 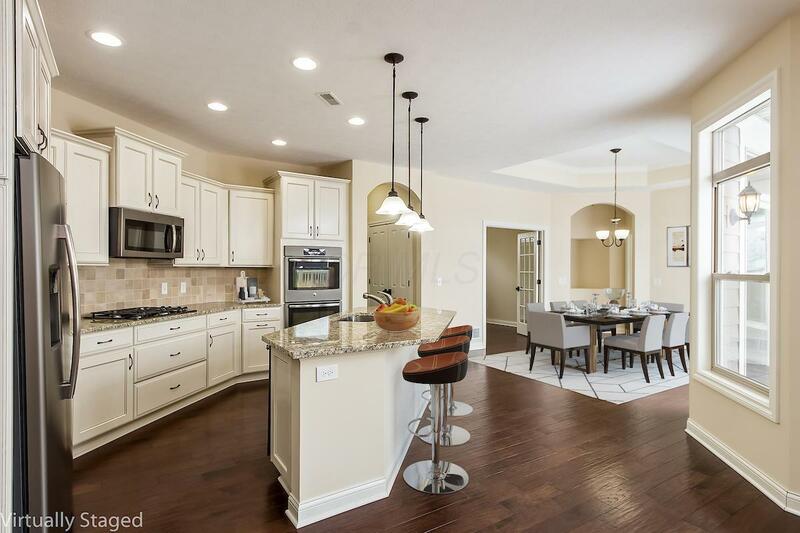 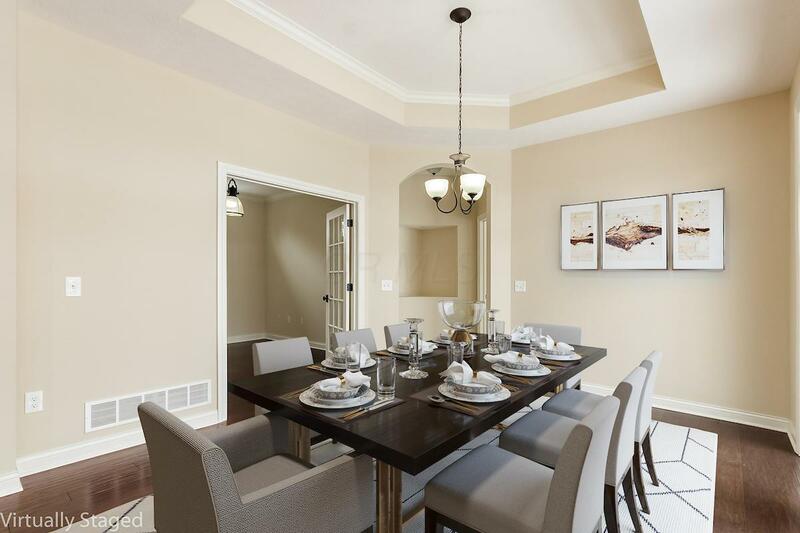 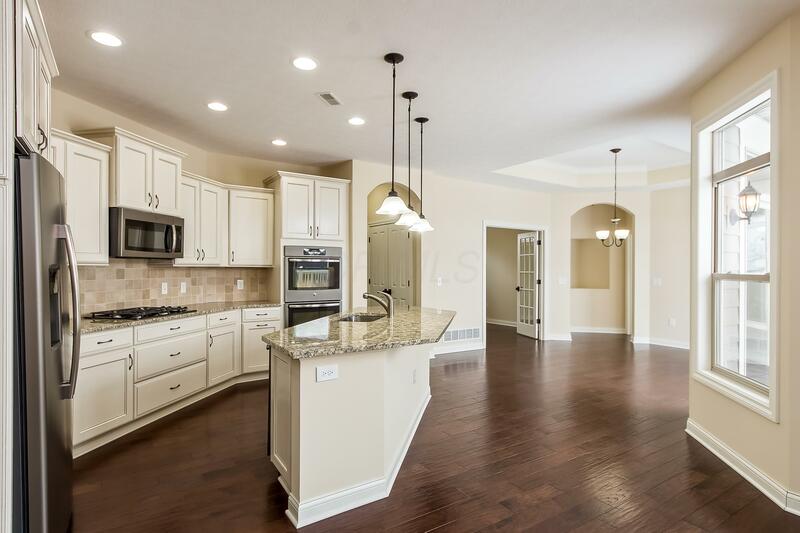 Highly desirable former Epcon model home with 3 bedrooms/3 baths. 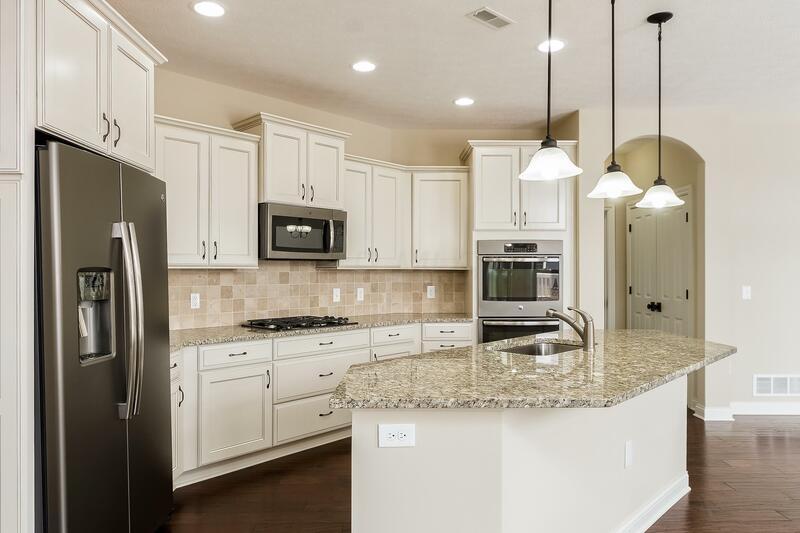 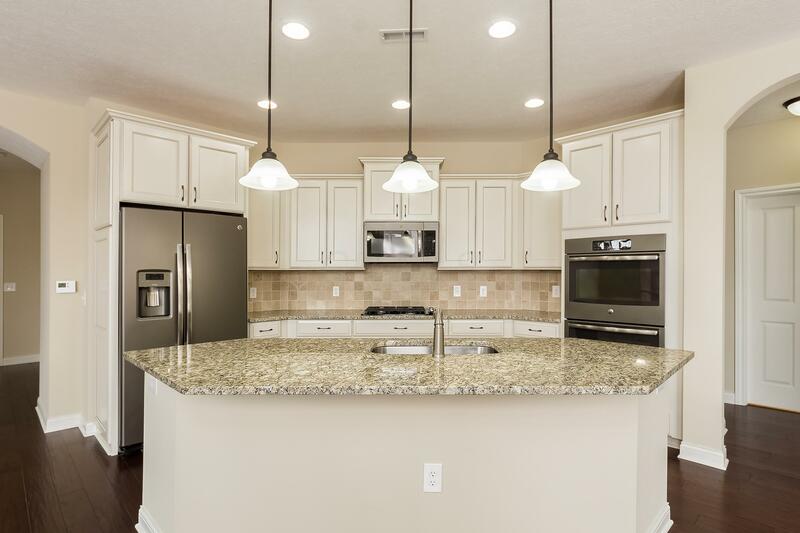 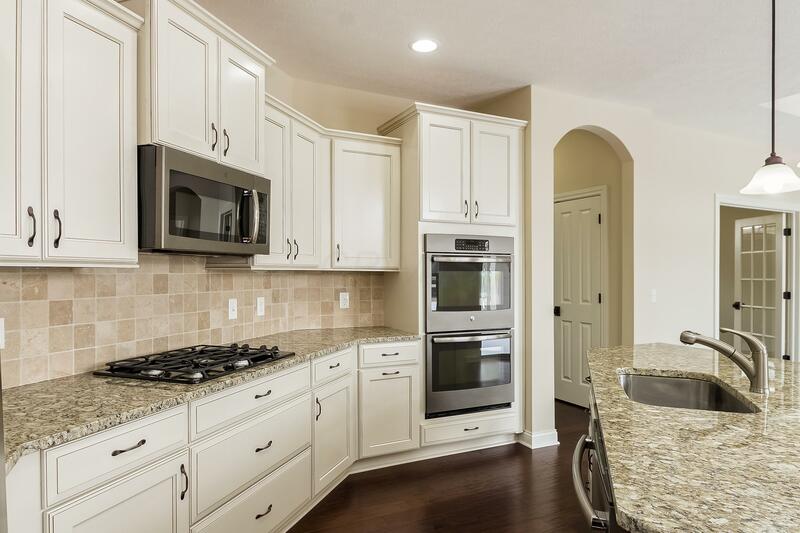 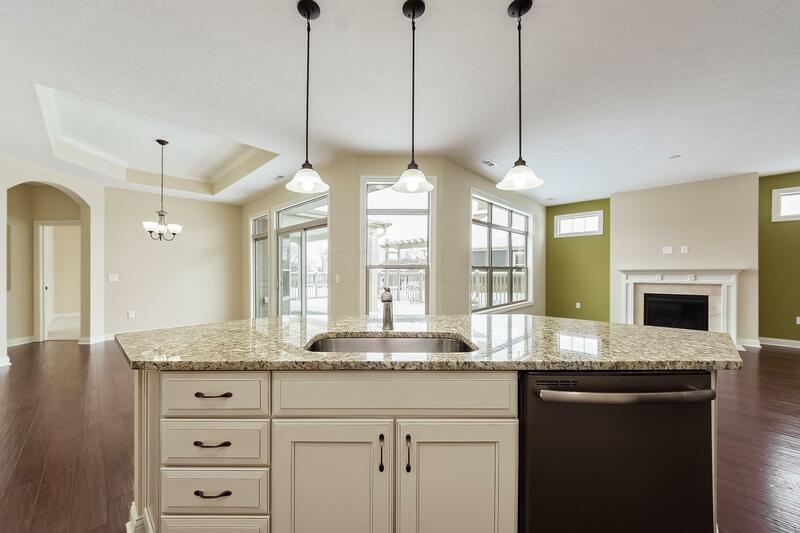 Deluxe kitchen offers granite, upgraded cabinets and upgraded Slate appliances, including a double oven! 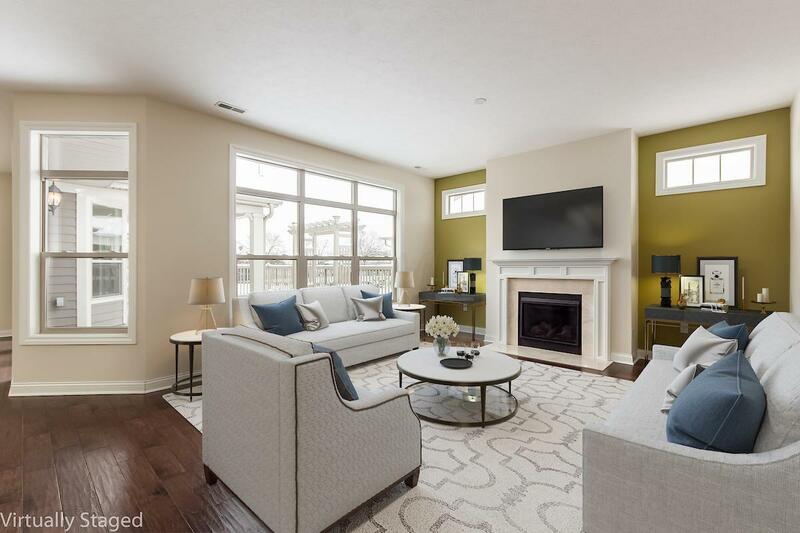 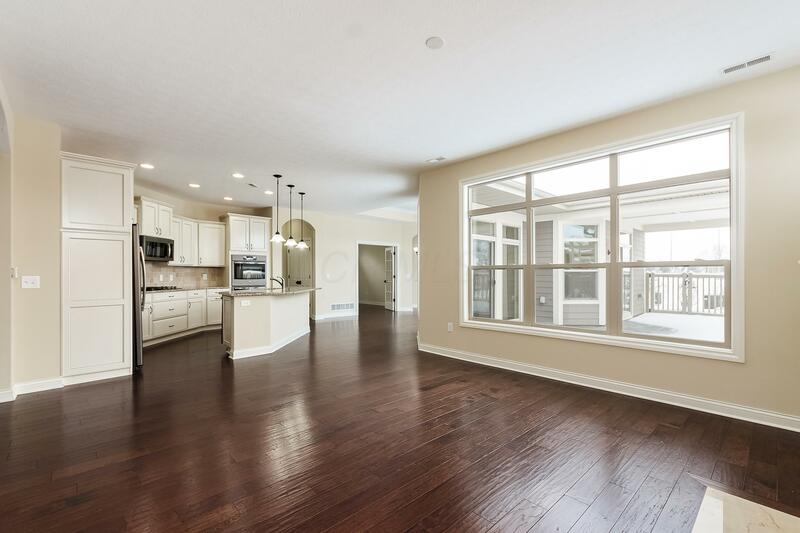 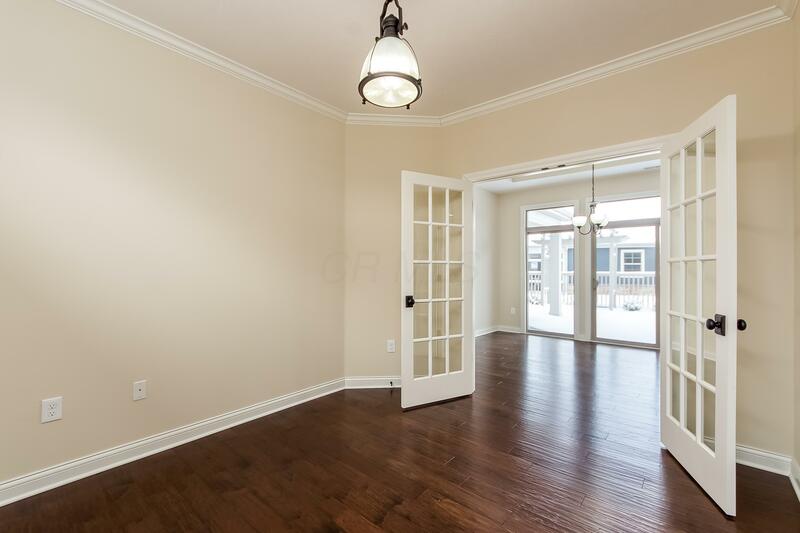 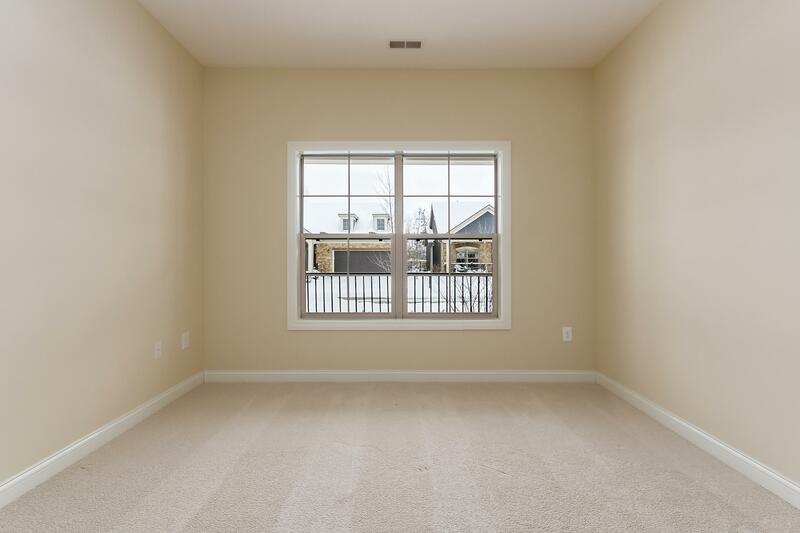 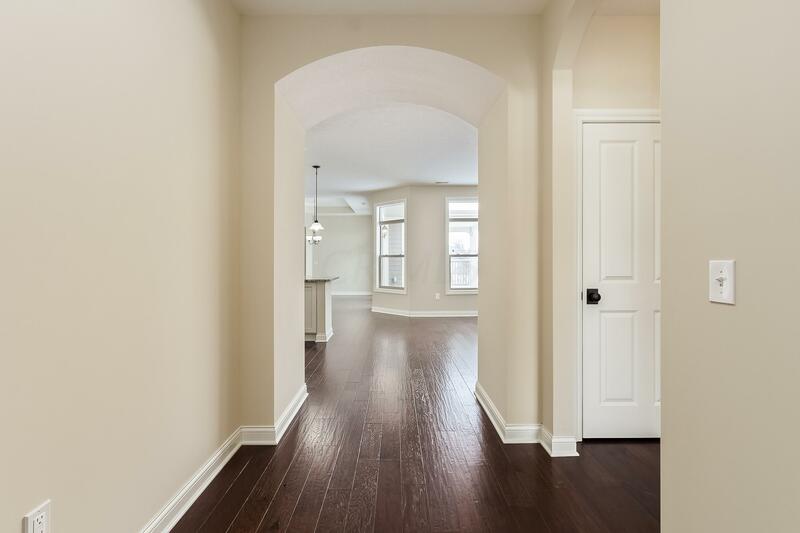 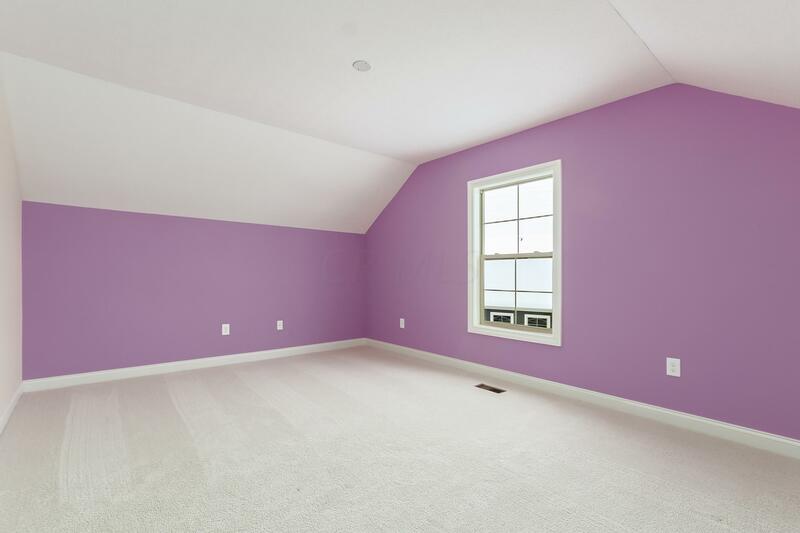 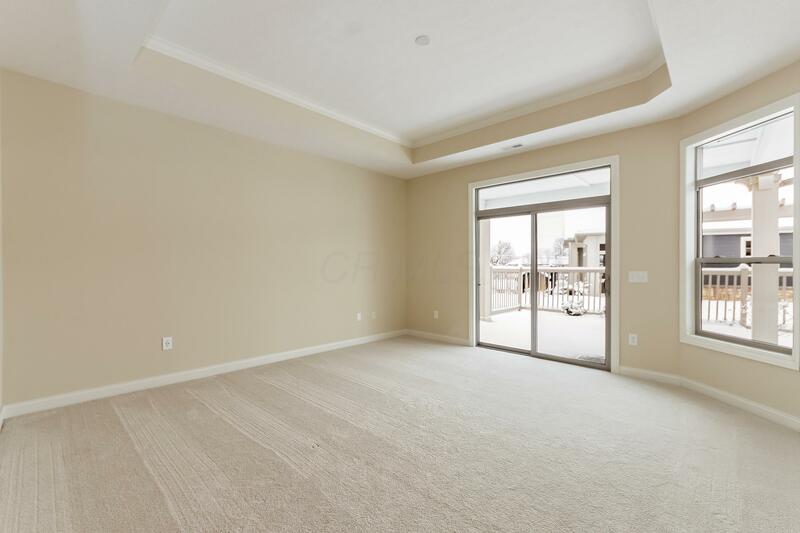 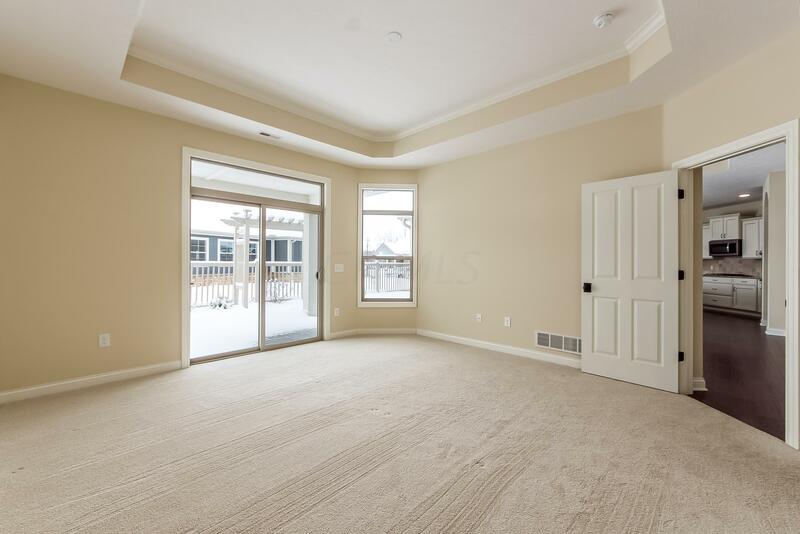 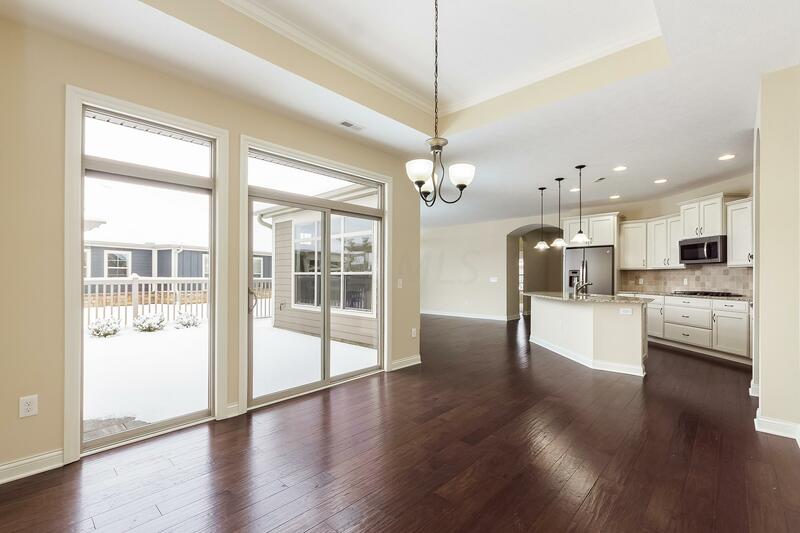 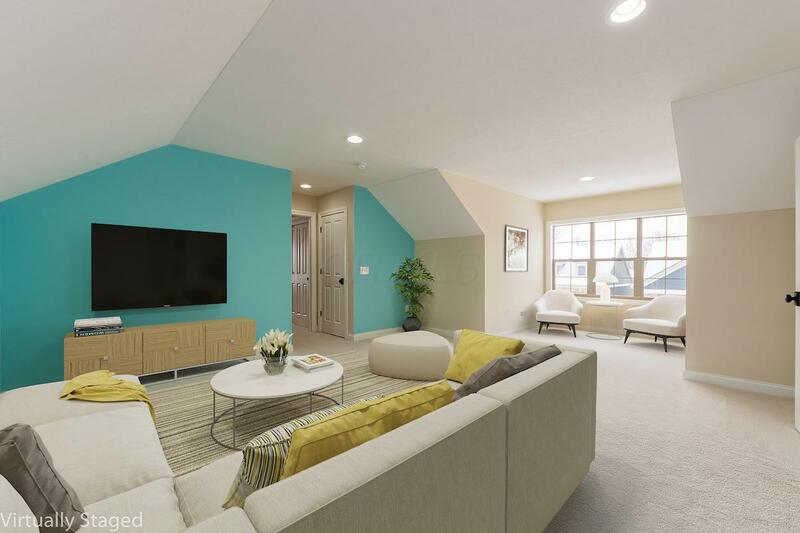 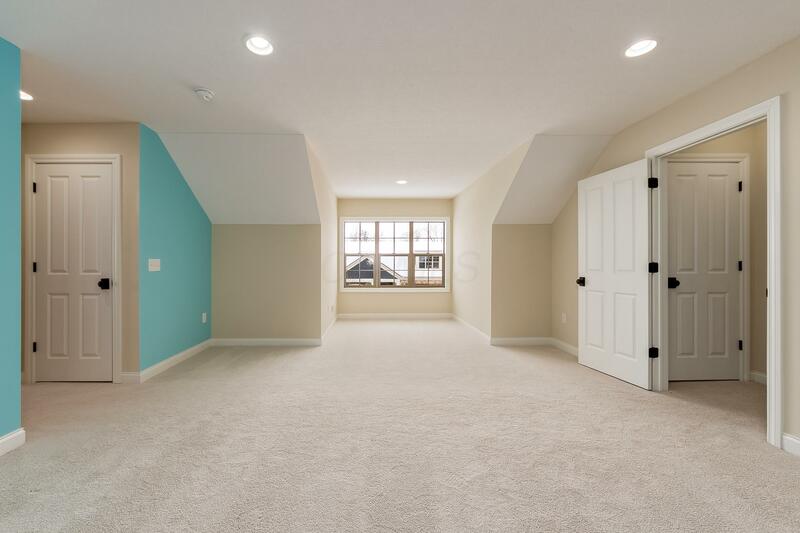 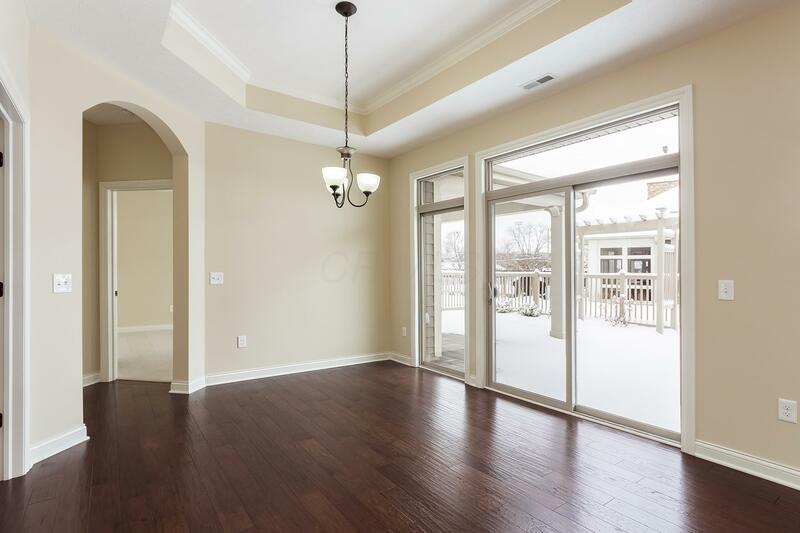 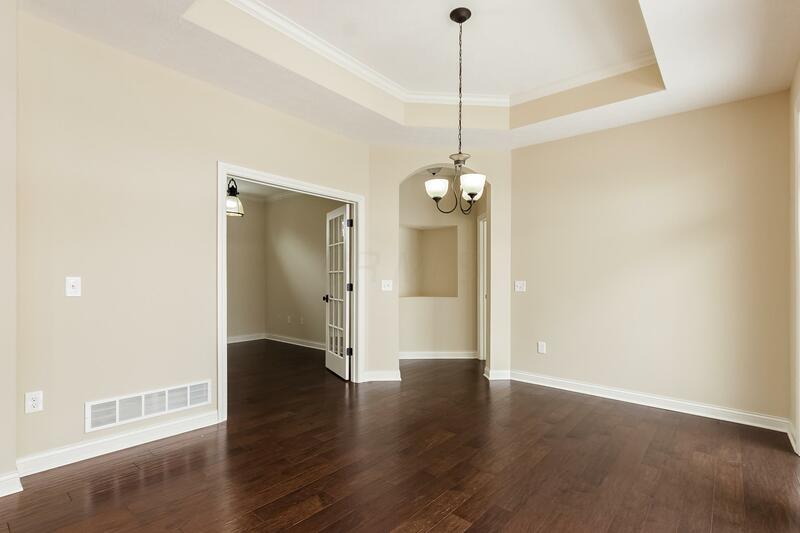 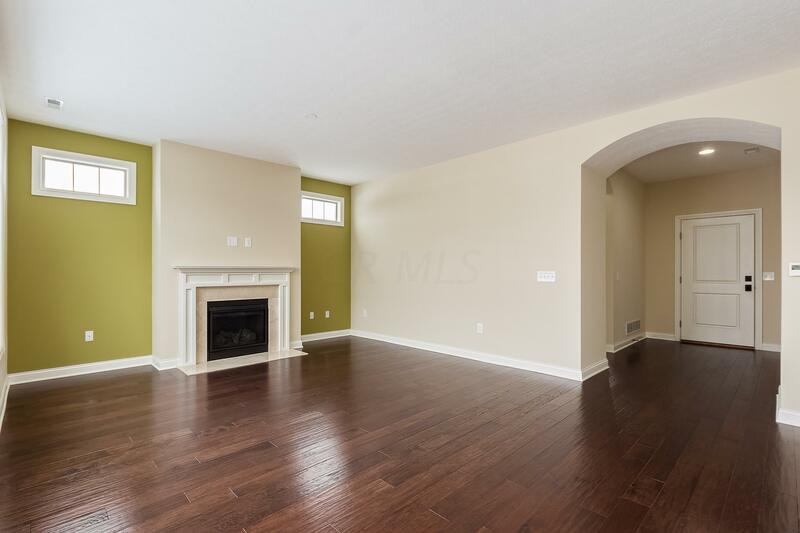 Hardwood throughout the living area, 9 foot ceilings and white trim create an expansive, open feel. 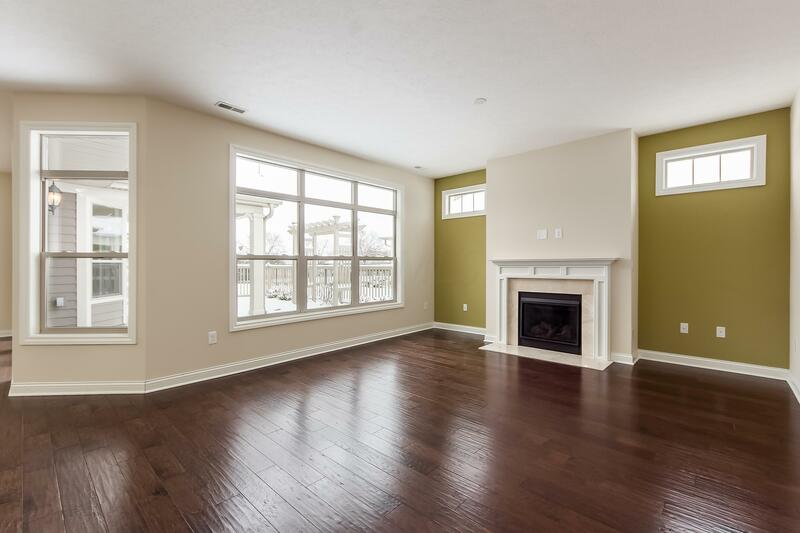 Living area includes a fireplace with gas logs and transom windows. 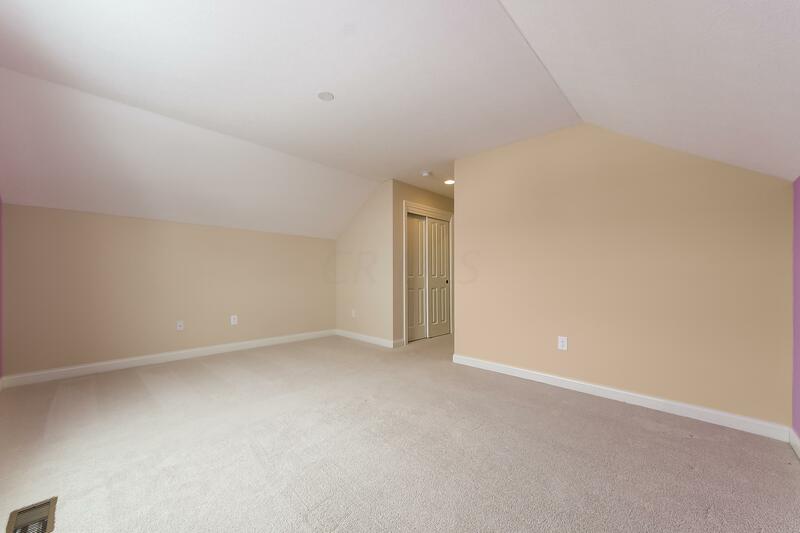 There is also a den/office and a 1st floor laundry. 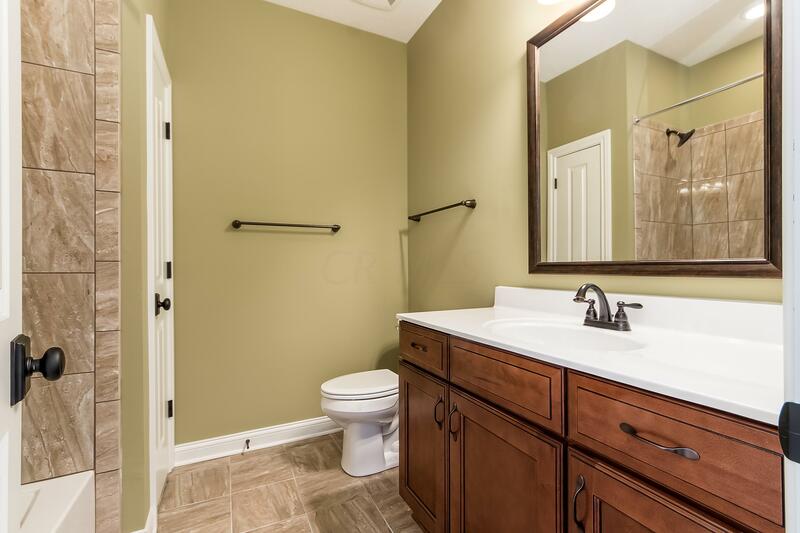 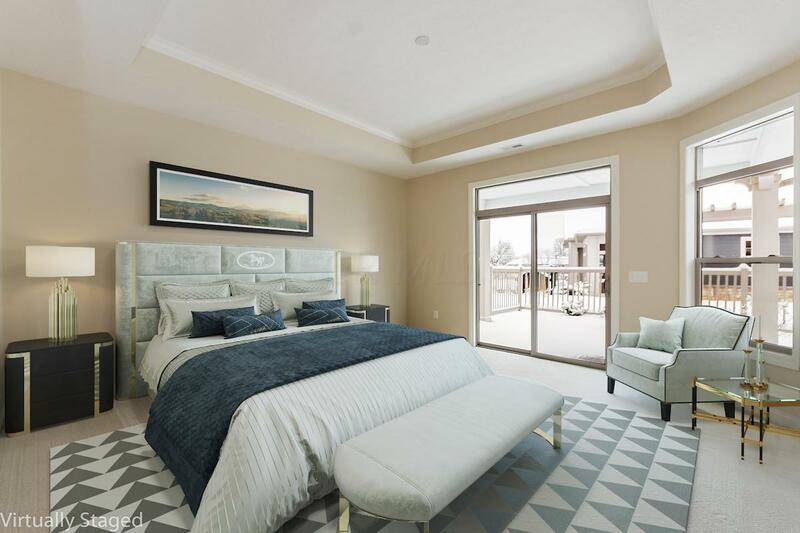 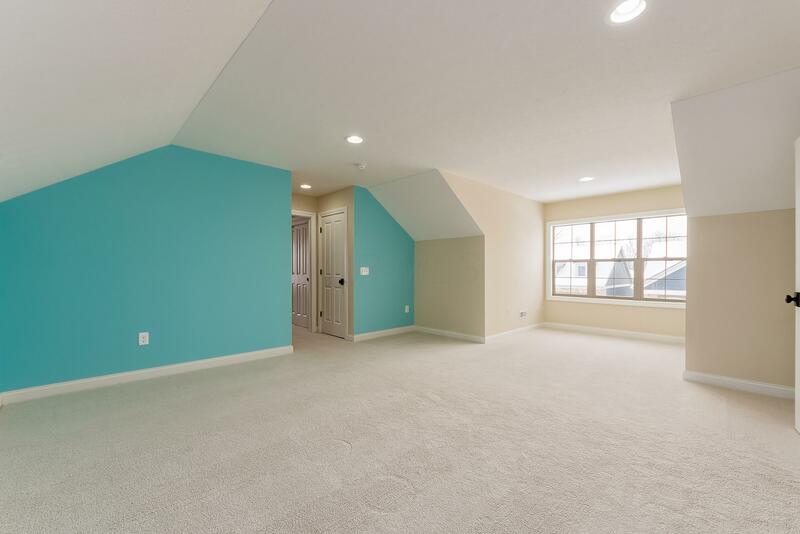 The master suite includes a zero threshold shower, huge closet and access to your covered back patio. 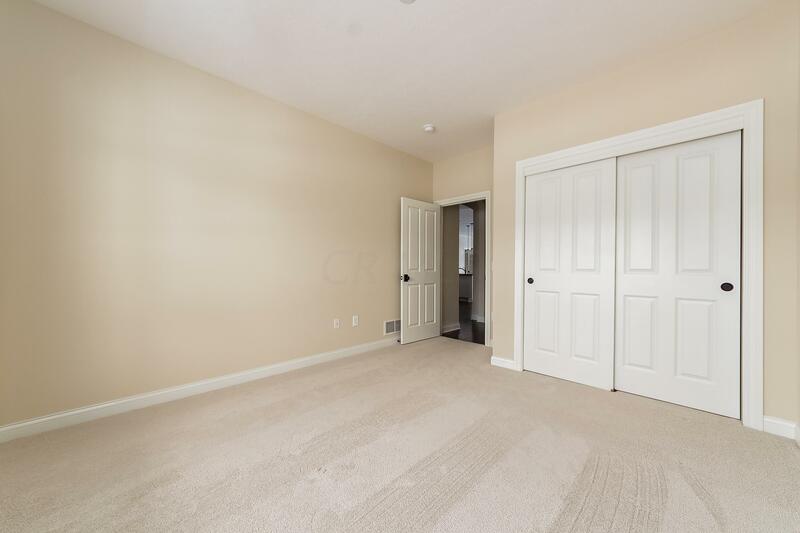 2nd floor bonus suite has a living area, bedroom and full bath. 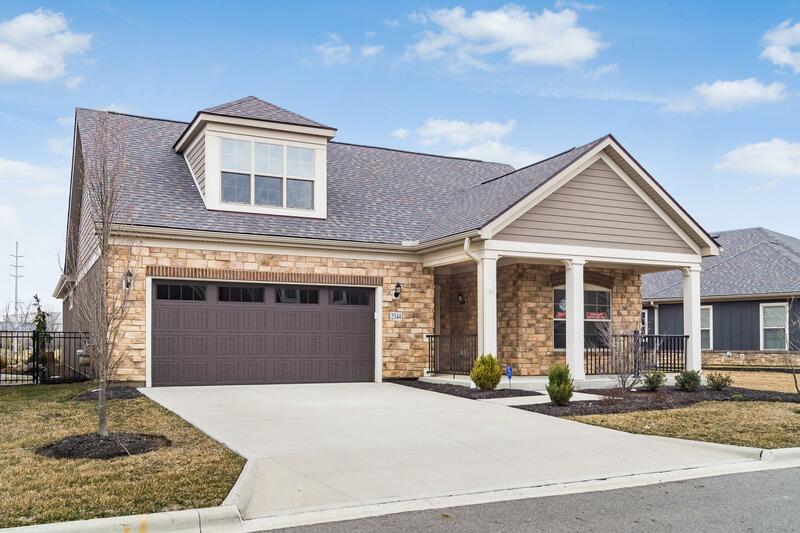 Clubhouse and pool located in the community. 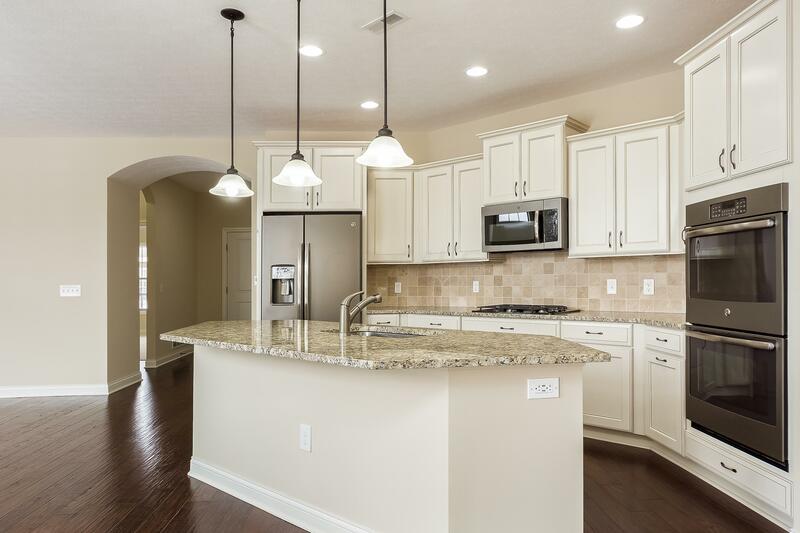 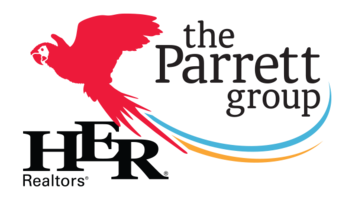  Great location close to 270 for easy access to all of Columbus.